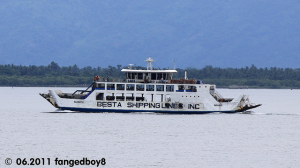 The 111 meter long, 2900 dwt ro-ro ferry Shuttle Roro 5 ran aground at Mabini, Batangas, Philippines. 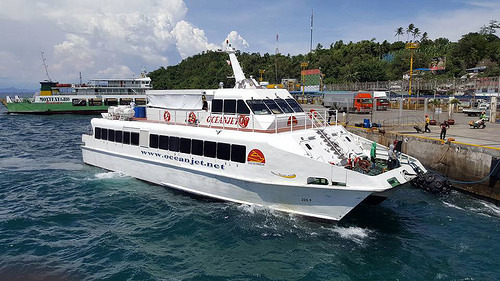 The ferry was seeking sheltered waters when Typhoon Nina (Nock-Ten) struck the area. As the storm intensified, the rough seas were too much for the Shuttle Roro 5. The crew decided to abandon ship rather stay on board the vessel. 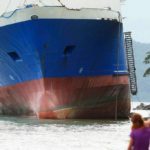 All 25 passengers and crew abandoned ship and were later rescued. The ferry was blown by the storm until it rested just off the shoreline. 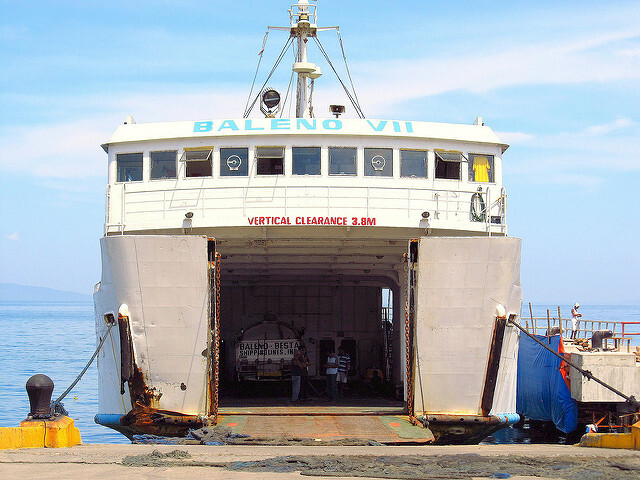 Reports state the hull of the ferry sustained damage, but no survey of the hull has been completed. No reports of injuries or pollution released. 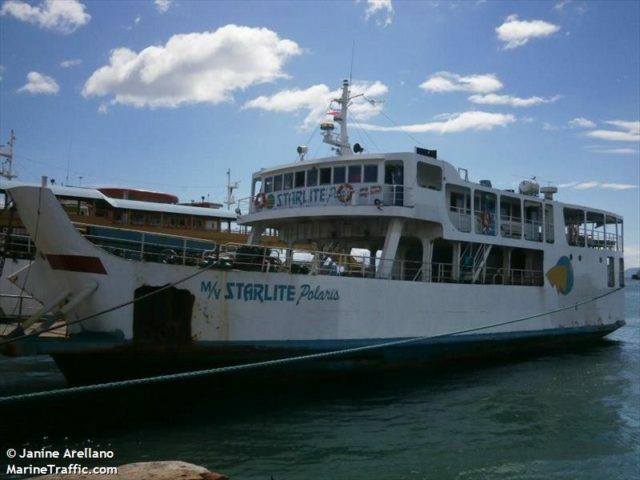 The 71 meter long, 634 dwt ro-ro ferry Starlite Atlantic sank off Barangay Corona in Tingloy, Batangas, Philippines. 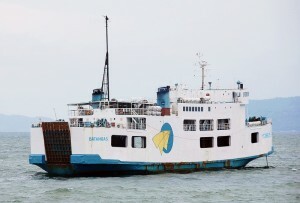 The ferry with 23 persons on board was caught at the height of typhoon Nina (Nock-Ten). 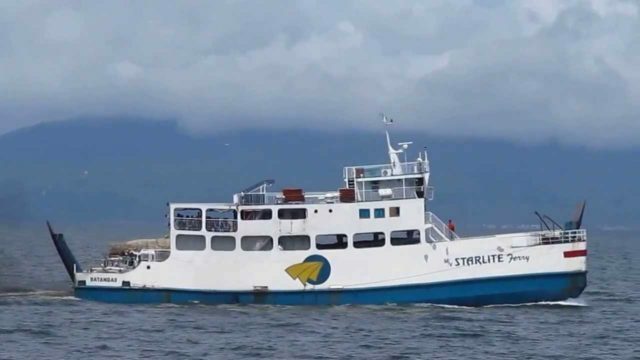 The Starlite Atlantic had been pushed by strong winds into the shallow waters and ran upon the rocks. Sustaining multiple hull breaches the ro-ro suffered uncontrolled water ingress. Unable to maintain stability, the Starlite Atlatnic capsized a short time later. 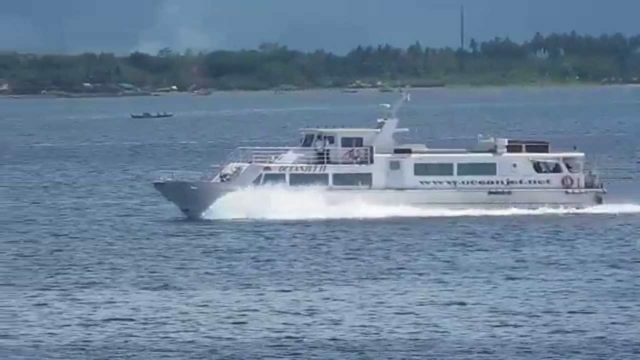 The incident was reported to local authorities and the Philippine Coast Guard. 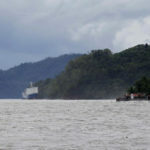 Fourteen persons were rescued from the water and taken to hospital. One passenger perished and her body was recovered. Eight people are still reported as missing. 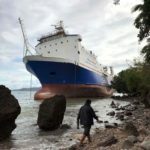 The Coast Guard conducted a search and rescue operation into the next day when it was called off due to conditions. 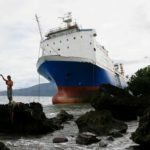 Typhoon Nina (Nock-Ten) caused several additional vessels to run aground around the Philippines. 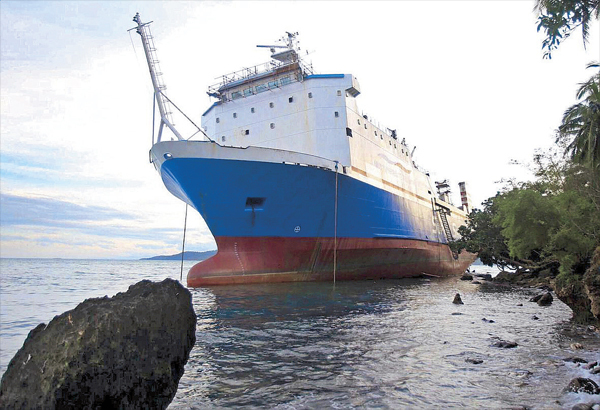 Here is the list of vessels reported to have stranded or run aground.